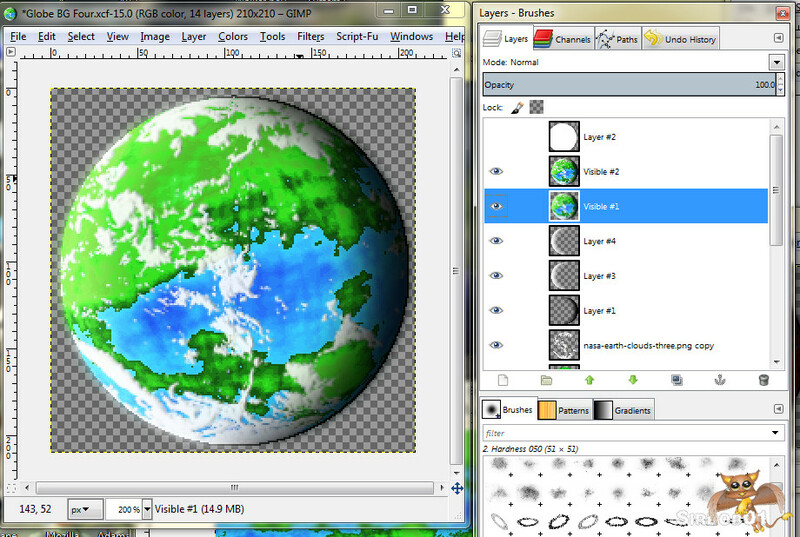 I’ve been helping a friend out making some planets, now he needs lots so I had to develop a technique for making planets quickly in Gimp. 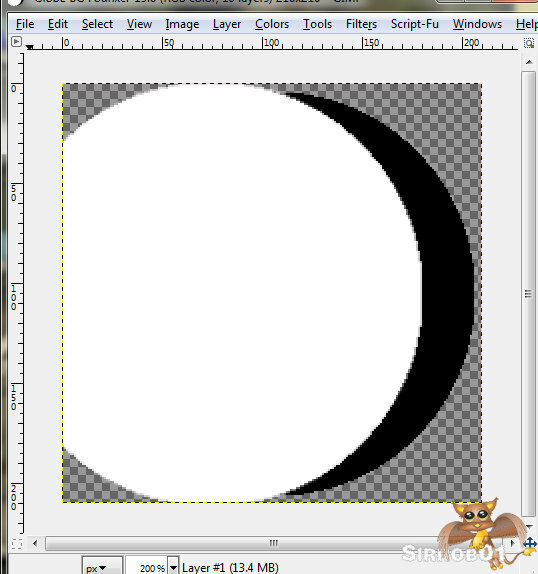 In my previous solar system post I covered some basics around making a Solar system so hopefully this post will help flesh out the solar system a little more. 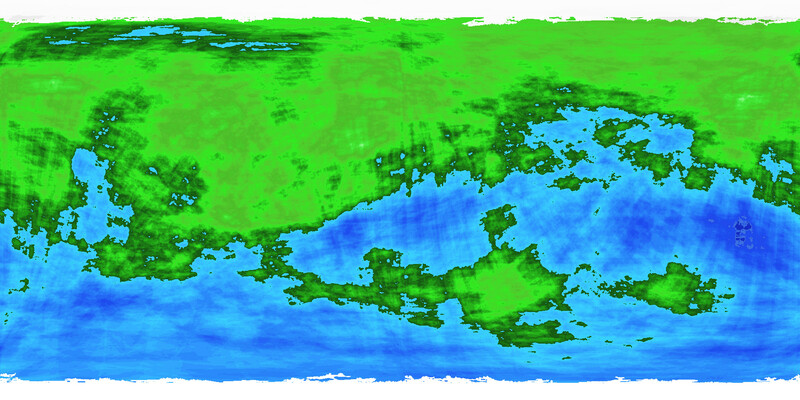 The below process makes heavy use of donjohn’s fractal world generator, I’m unsure what copyright the images it generates are under but for personal use you should be fairly right. 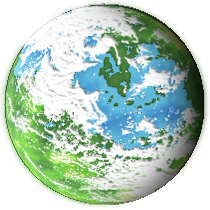 The reason I use the fractal world generator is it generates a nice globe and a flat map projection in several variates and gives a nice working base to whip some planets up in Gimp. 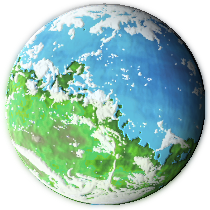 This doesn’t make beautifully photo realistic planets but it makes passable globes for use on a solar system overview images/maps and provides you with a matching world map you can take and work on later. Naturally to follow the below your going to need a copy of GIMP installed and probably this Script pack which I use heavily. 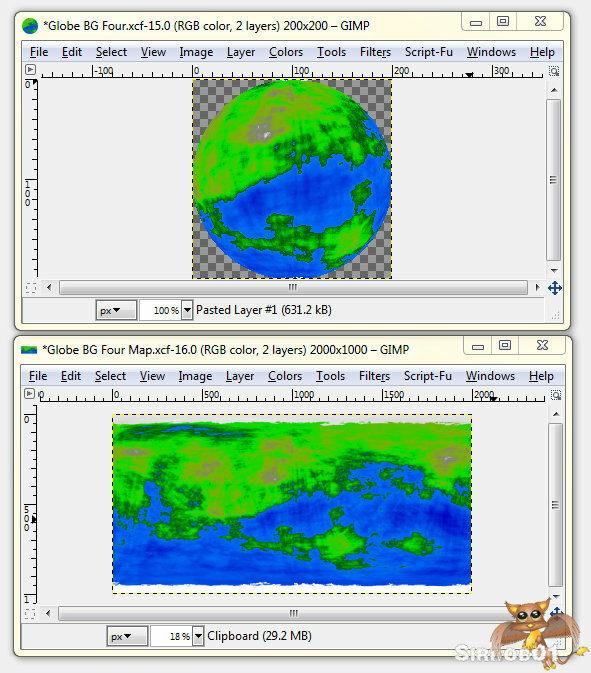 I am by no means a GIMP expert so I’m sure there are other (better) ways of producing the below effects but hopefully it’ll get you started. 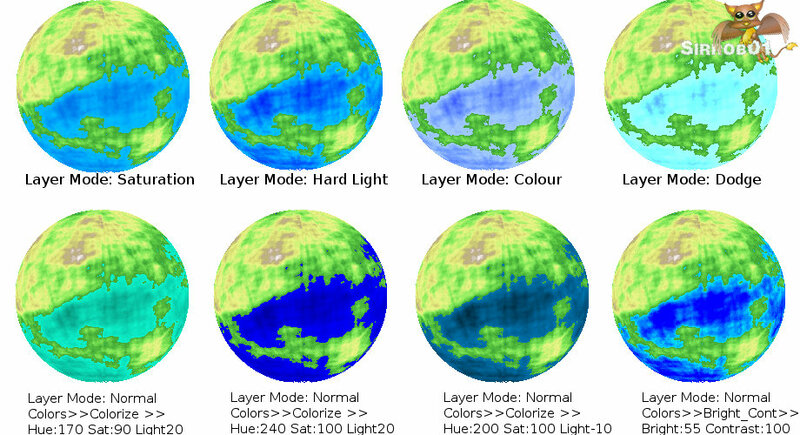 I’ll only cover one planetary type today – a Blue/Green earth type globe. If you really just want something to use in a hurry feel free to grab one of these. Usual rules apply – CC BY-NC-SA 3.0 and credit myself and donjohn in someway :). 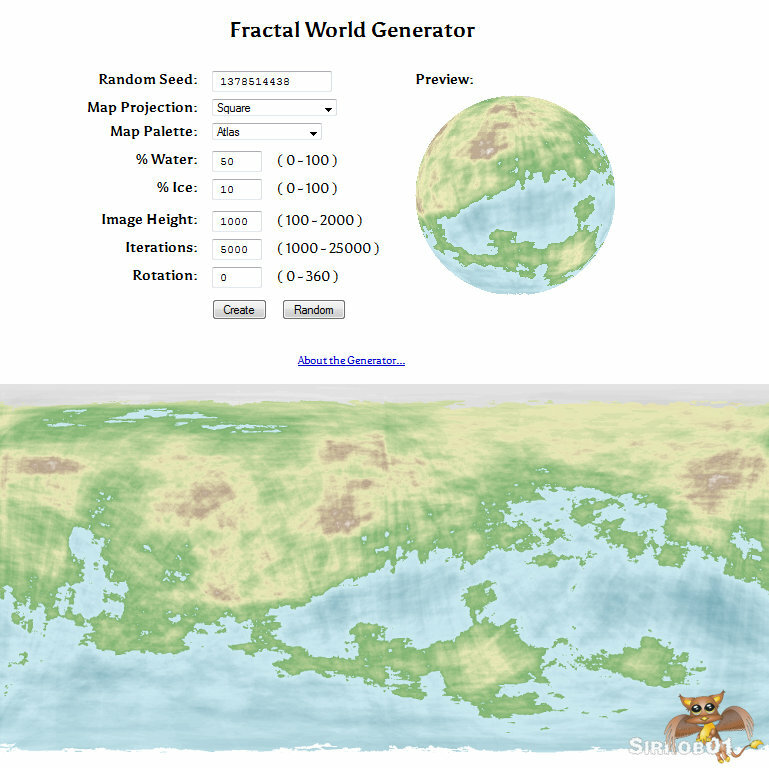 Go to donjohn’s fractal world generator and generate a random world, make sure you check the resulting flat map (press create) before settling on a final globe and play around with rotation angle to get a nice view. Most importantly once you settle on a globe record all the settings this will let you recreate the same globe at a later date. Play around with a mix of colouize and layer modes for even stranger effects. 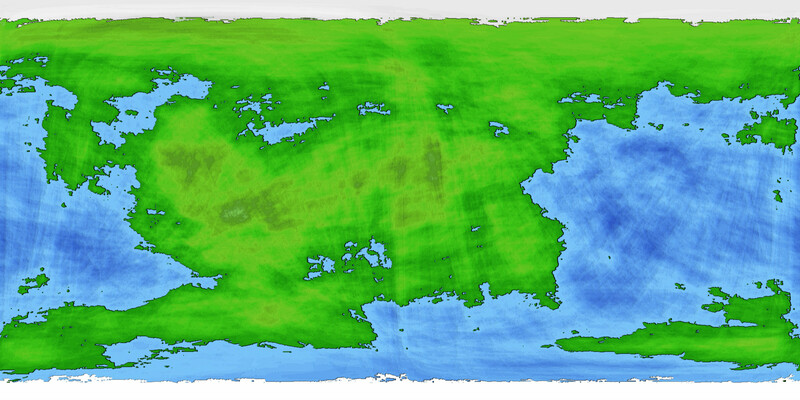 The base planetary map is finished at this point. 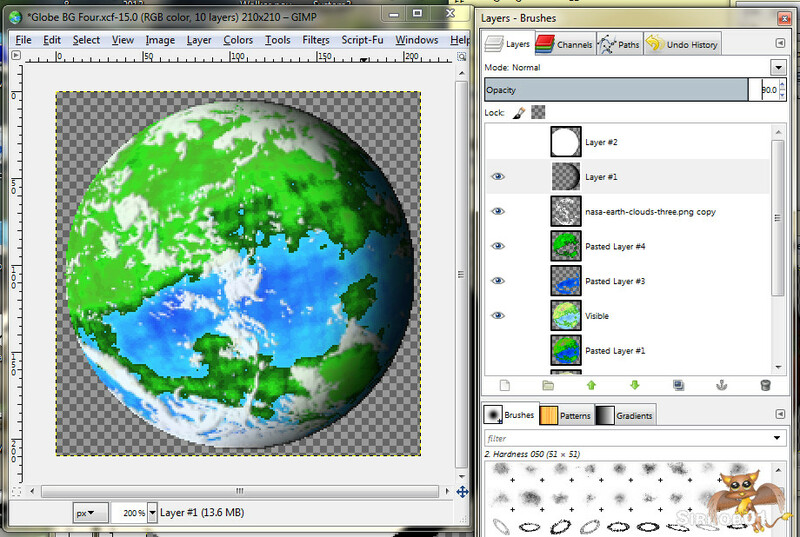 However the globe needs some clouds and shadowing to make it look more ball like. 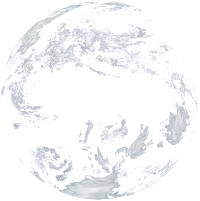 Firstly some clouds on the globe image. 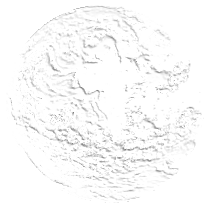 Now the easiest thing I found to do was to search up some Earth images from NASA. 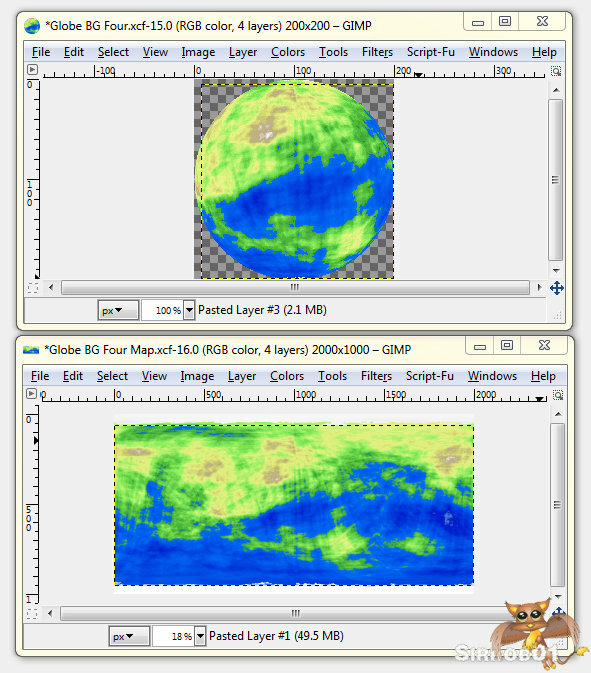 Copy and Paste these into Gimp use the colour select tool to select and copy the clouds and paste those as a new layer onto your globe and scale them down. 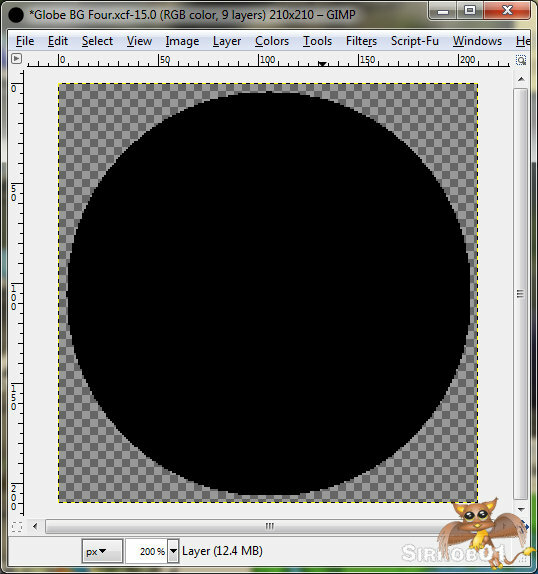 Now you can go do that yourself or simply save the png you like below and then follow the next step. 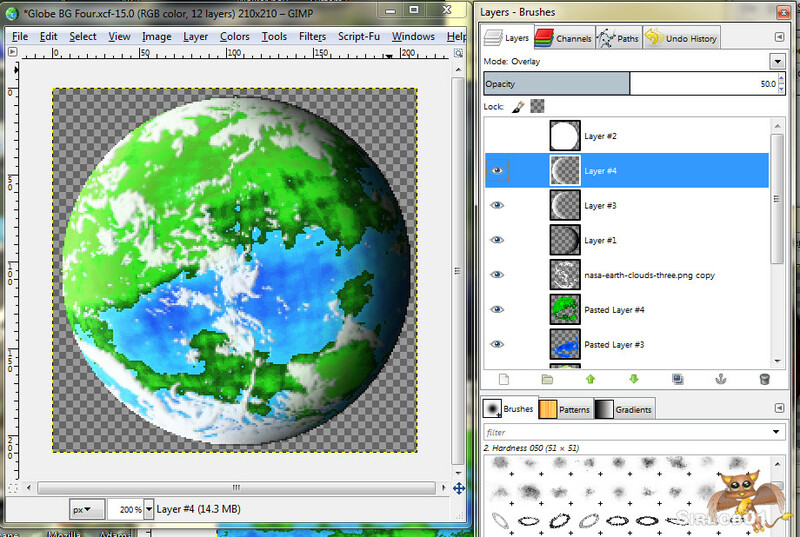 Export you planet as a gif/png and your map as a jpg and your done. This is a little deviation from my usual project posts. 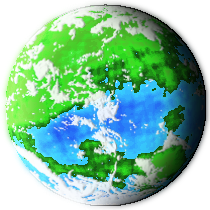 Instead of showing a project I’ve finished I’ll run through a bit of a Tutorial/How to on designing your own Fantasy/Sci-Fi World Solar system. 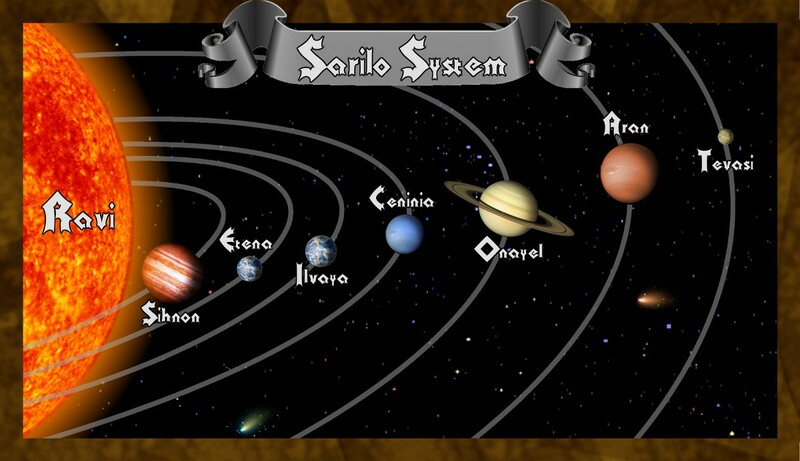 This is the process I used to design the Sarilo system in the previous post. 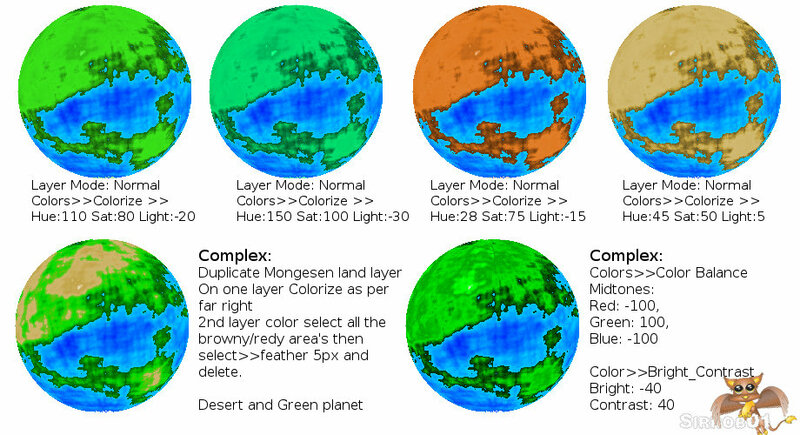 In looking for this kind of information on the WWW, I pretty much came up blank -everything was either very high level or assumed your world was an earth clone except for the continental layout :). A word of caution: I’m no expert mathematician or physicists so I may have made some liberal assumptions with some of the formulas and maths below, if your reading this blog post for some sort of school project (unless it’s “Build a Fantasy/Sci-fi Solar system”), turn back now. Hopefully your back with a semi-pretty Solar system picture to throw at your players. Now we need to flesh out some of the details, how far is each planet from the sun how long does it take to orbit the sun etc. Now if you’ve stuck your habitable planet way out near where Pluto normally sits, now would be a good time to adjust it to somewhere closer to the sun rings 2-4 (possibly 5)are the best places for habitable planets. However it’s your Solar system so feel free to keep it that way but you’ll see the interesting impacts below. Don’t get to hung up on how far an AU is. 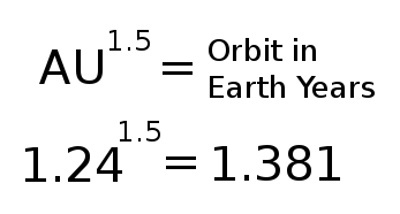 Just be aware a good range for Terrestrial (Earth like) planets is approximately 0.8 AU’s to 2 AU’s. Earth in our Solar System sits at 1 AU from the sun, Pluto hangs way out at 39 AU and Mercury at a toasty .4 AU’s. Now Assign each planet an AU Distance from the Solar System Star. The planets don’t have to be as spread out as much as our Solar System but do be aware big planets to close to each other could in reality have interesting effects on each others orbits, Feel free to play around with this Solar System builder. I punched in an approximation of the Sarilo System and ran it for a 100000 years (about 4-5 days) with no problem. It’s interesting to try to create a stable solar system with one planet on an elliptical orbit that doesn’t wipe out your other planets, I have no idea why a comet hasn’t run into Earth yet :). To make things super simple here is an Orbit calculator online (right at the very bottom of the page)or use this spreadsheet I assembled . Using the above does assume certain similarities between our Solar System and the fantasy one but unless you really want to get into some heavy math just live with the above :). So now you’ve got your planets and you know how many earth days it is to year for each planet. You can just see all your NPC’s running complex mathematical conversions every time they try to calculate what season it is. Time to give your planets unique day lengths etc. I’ll admit I stuck with an hour being 60mins for all the calculations I’m just not that dedicated to make up whole new time system. For each of your planets allocate the number of hours in a day, before giving your earth like planet a 500 hour day, think what impacts this would have on your planets society. 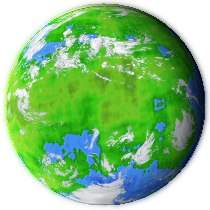 I’d recommend to keep your earth like planets hours in a day between 20-30 for easier game play. 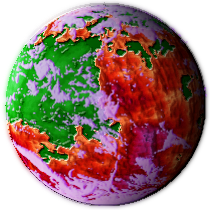 Once you have the number of hours in day for a planet simply take your number of earth days in a year x by twenty four then divide by the number of hours in your planets days, this is the number of the planets days in a year, as an example Etena has 504 earth days in an orbit and 26 hours in a day. 504 x 24 = 12096 hours then 12096/26= 465.2. So there are 465 Etena days in a Year. If you like you can do the above calculation for all your planets. My handy spreadsheet will do these calculations for you :). If your year is very long (in earth days), the seasons will be longer, more food might need to be stored for winter or a double cropping season might be carried out, plants might mature slower. If your year is shorter (in earth days), plants might mature quicker, as winter is shorter less food needs to be stored. People’s ages will be different younger or older depending on shorter or longer years, maybe you age by each season instead. Is your habitable planet closer or further to the sun, this could make it hotter or colder. Basically think about how things would impact you if the days and years were of different lengths. Now that you know how many days are in your planets year you can design up a calendar for your players to use. Remember to include seasons, approximately one per each quarter of the year. Hope this information is useful to other people building up a campaign world. Assuming I’ve understood it correctly I used Keplers third law to calculate Orbital timeframes and I included an equivalency back to earth days. I realize using Keplers third law wont be a 100% accurate as I’m pretty much assuming that the Sarilo System is then the same as our Solar system but I figure for a Fantasy game setting it should be fine. The other figures are all made up, I’m still working on the Planetary Diameters, need to be a little more careful with those. As I don’t get to GM very much (or at all any more) and I really enjoy world building I’m just going to do this Campaign world building project as something fun to do when I feel like it. I will continue to add to the world and will make posts here of anything of note. I have begun to upload some of the Info to a wiki but I’m not quiet ready to post the URL as it’s very empty at this stage :). I’ll get back to Mayhem city and Hinterland builds. Well I’m finding the new projects page very useful, it lets me see what I could be working on and provides motivation to get a project finished so I can cross an item off. Seems the old Psychology of crossing items of lists still works on me. If it helps me finish more things I’m more than happy to use what helps. 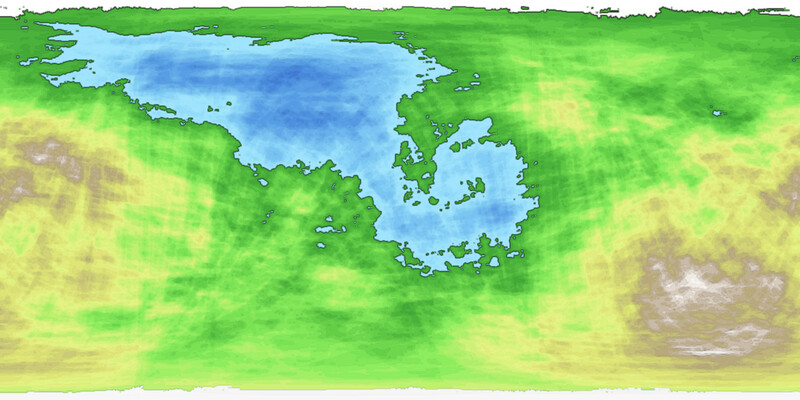 These are the initial maps for the world my D&D group will frequent, half the fun for me as a DM is building a world and being able to throw whatever I need into a setting without me feeling like I’m breaking one of the predefined settings. 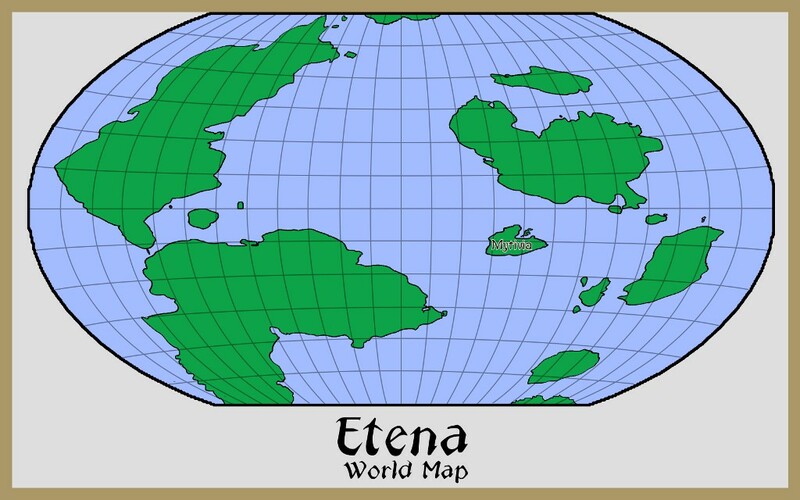 The World is called Etana and the main continent/island the group/s will start on is Mytivia. For the moment we are running 2 seperate sets of characters a primary set with full storyline and RP elements and a secondary set who are pretty much used for trawling around dungeons and receive double the experience award you normally receive as per 4ed. The Primary set will affect the geopolitical landscape were as the secondary set will be used for off the cuff adventures were I literally just sit with a laptop a pen and a piece of grid paper and make up some dodgy monster bash on the fly :). 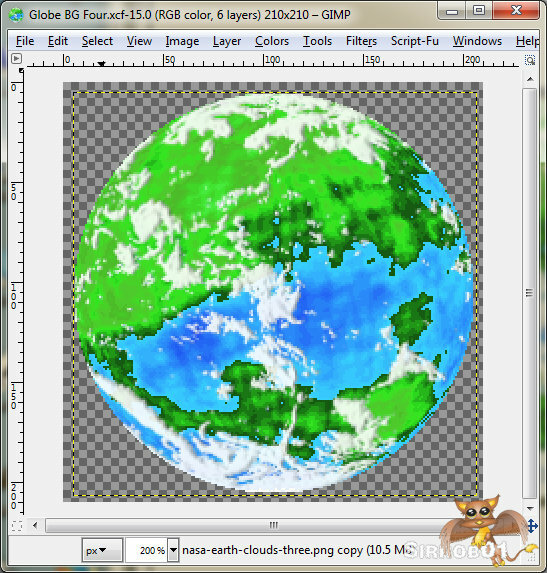 A little info on the maps, the world map has been done in Winkel Tripel Projection, well as close as I could get doing it by eye in Gimp. Very few details are on the world map at this stage as I want to be able to use player input to add features details and names, it’s their world as well. 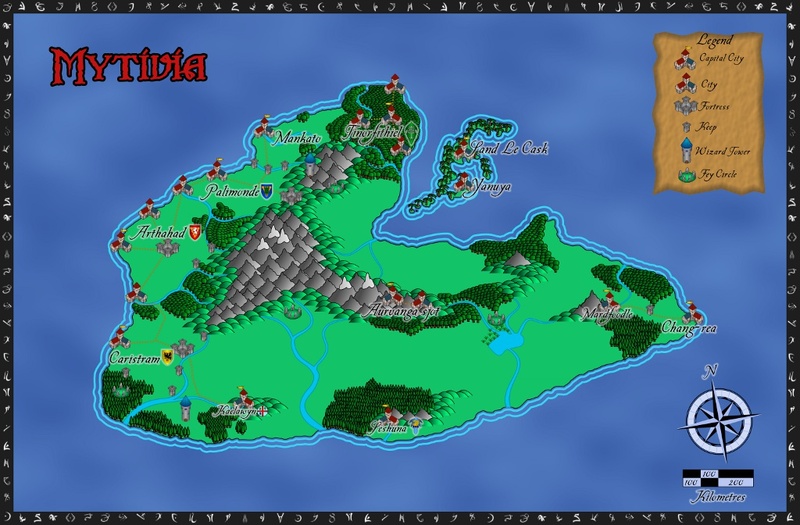 The smaller continental map of Mytivia itself shows the major cities and main roads. 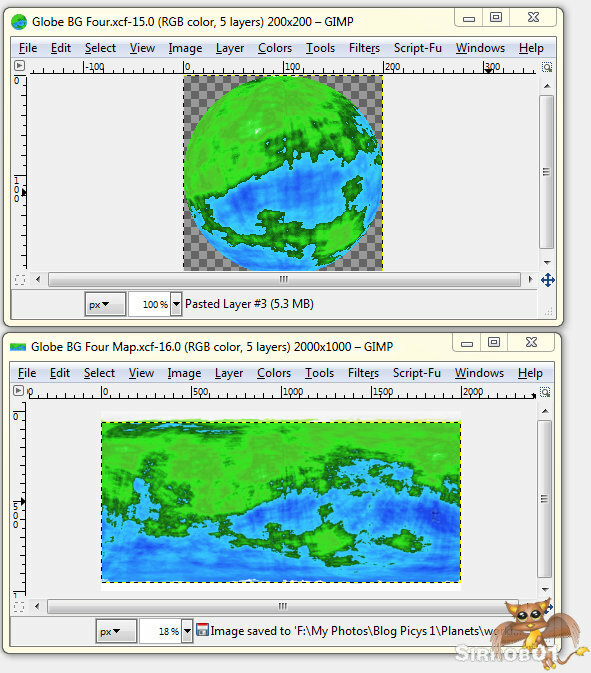 The Continental map was made using a combination of inkscape and gimp. 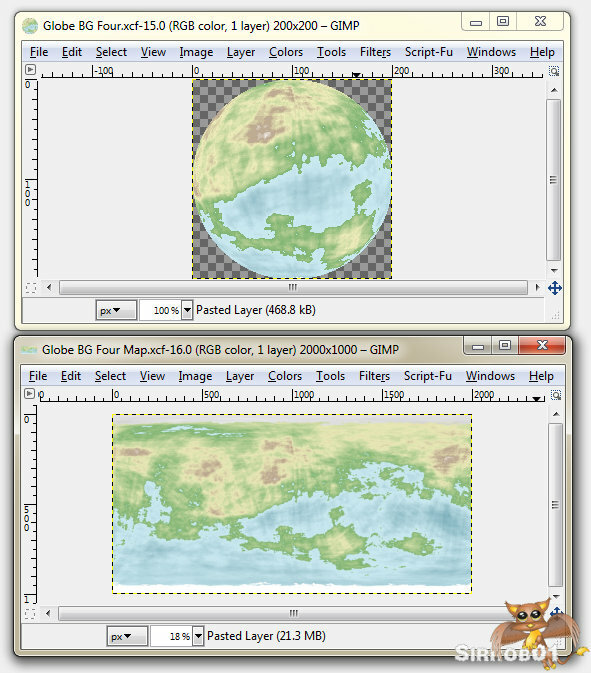 I had to move the map to gimp as inkscape began to have serious performance issues with the 200-300 mb file. 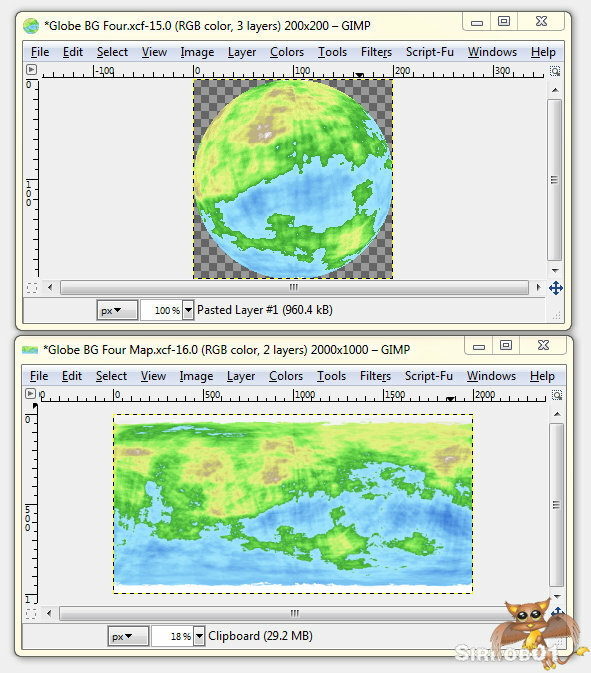 When the map is open in Gimp it is 50cmx30cm @ 300dpi with a rather large number of layers and can take along time to refresh, but I gave the map a lot of space so that I can zoom in and add more details later on. 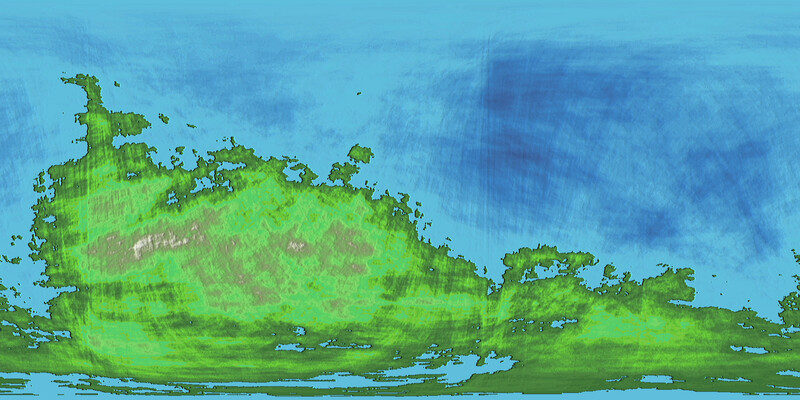 I suspect I may just end up copying segments of the map out however and making more zoomed in local maps in a new Gimp file to help with performance. All of the icons etc I drew up in inkscape with the exception of the Compass rose which I downloaded from wikimedia commons. Again names of some places etc have been left off so that my players can suggest names and help build the world up and they feel more attached involved with the game world. I’m fairly happy with the resulting maps, although there no were near as good as what some of the people churn out across at the Cartographers guild. 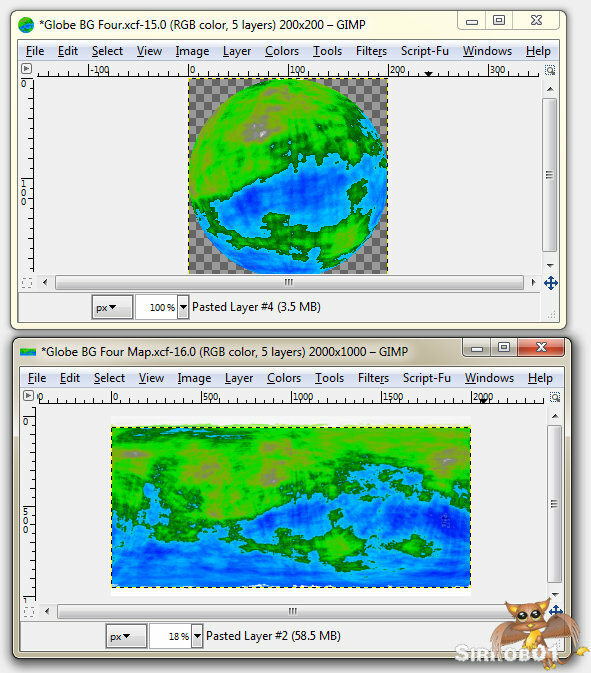 If you want to learn anything about mapping check out their forums. 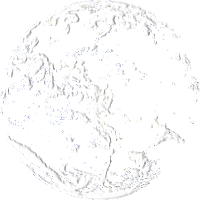 I’ll post up more detailed/geopolitical information about the world later on as time permits, I have far chunk of info written down and some still in the old brainbox. In the long term I’ll put all the info into a wiki so I can sort the information in a more logical fashion rather than just a pile of loose Blog posts and make it easier on me to reference when DM’ing.